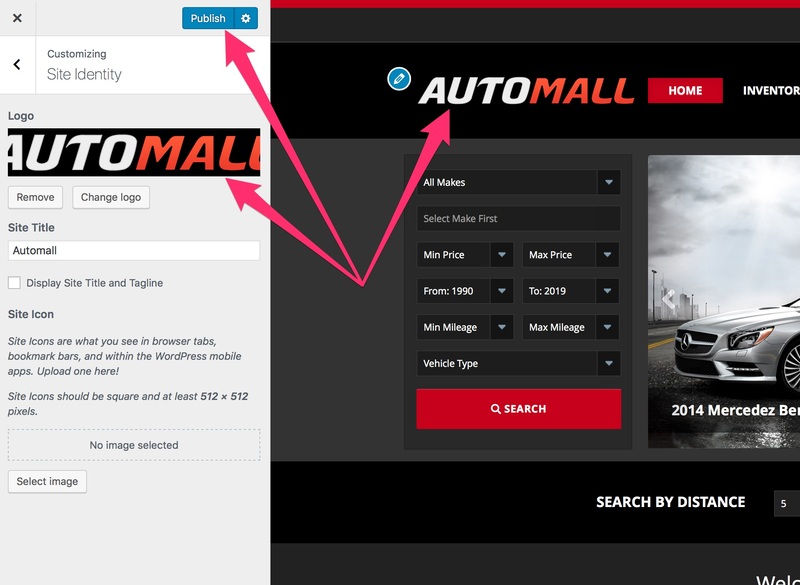 You can easily add your own logo to AutoMall theme by uploading your own designed image or write your business name and you can add it as website a title. 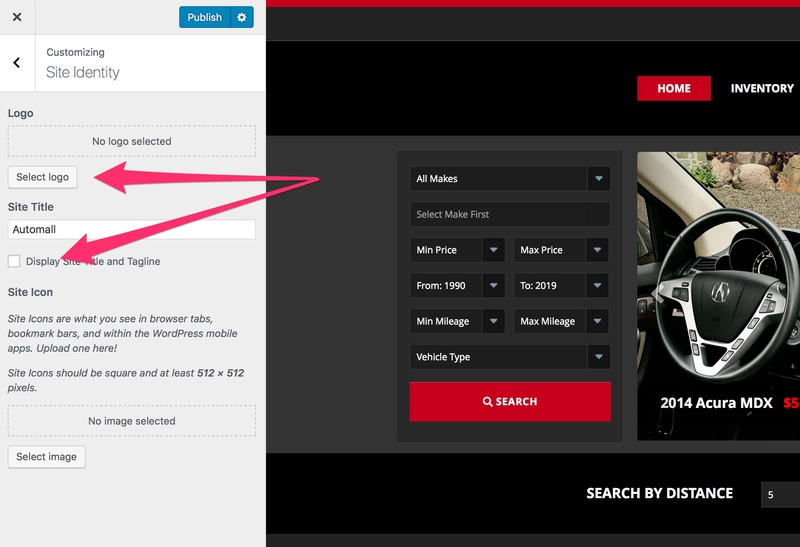 On your WordPress Dashboard click on Appearance and then click on Customize. Click on the Site Identity tab on the WordPress Customizer. If you do not have a logo you can write business name and click on Display Site Title and Tagline checkbox and click Publish. If you have your own image you can click on Select Logo and browse-upload your logo image from your computer, select skip cropping and click Publish.